Formulated with an excellent balance of macro and micro nutrients, Formula 1 has been scientifically proven to be an effective way to control and manage weight when combined with a healthy active lifestyle. 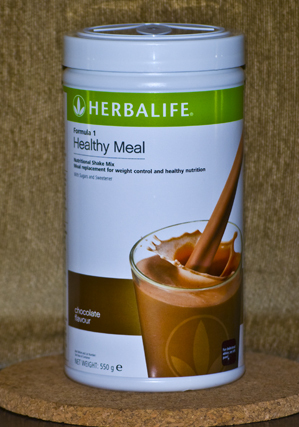 Calorie restricted: contains less than 220 calories per shake to make it easy to manage daily calorie intake. Contains a balanced combination of soy protein and plant based carbohydrates that can help you feel fuller for longer and sustain your energy levels as part of a weight management or healthy nutrition programme. Contains soy: The inclusion of at least 25 grams of soy protein a day as part of a diet low in saturated fat can help you maintain healthy blood cholesterol levels. Contains soy protein which can help build and maintain lean muscle mass as part of a fitness programme. Contains high levels of essential vitamins and minerals to help you reach your Recommended Daily Allowance. Optimise the taste by adding in your favourite fruits. When trying to lose or manage your weight, it’s important to maintain a nutritionally balanced diet. A healthy meal like Herbalife Formula 1 keeps your calorie intake down to avoid putting on extra weight, while also providing essential vitamins and minerals, long lasting carbohydrate and protein for sustained energy and satiety. Request a Pin if you don't have an account.